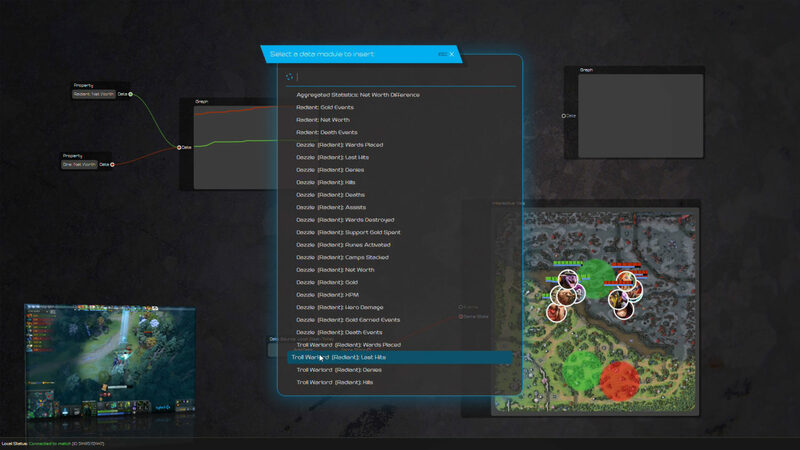 There are various platforms that provide data-driven insights for esports fans and players, such as OpenDota or Datdota. However, there are still not a lot of tools that the average esports fan can use to ask their own questions. Most tools for data analysis require training and a background in data science. LACE tries to address this gap, by exploring new ways of interactively and playfully exploring esports data. LACE envisions an easy-to-use interface that let users quickly compose operations on data by drag-and-drop, similar to visual programming techniques, such as Scratch. Through exploring playful ways of interacting with esports data, we are hoping to engage more fans in active exploration of data. Ultimately, we want tostudy how this engagement translates into transferable skills, such as data literacy, which can empower epsorts fans not just in esports by broader areas of their lives. LACE is an early-stage research project, part of the Esports Research Theme within the Digital Creativity Labs.